Flutes, Tees and Gift Baskets, OH MY! OMG!! Your BFF, sister, cousin, co-worker, neighbor, etc. just got engaged!!! The day has finally come and you are so excited for them! But... what do you get them?!? Here are some of our favorite engagement presents for the special person in your life! There is so much to celebrate with so many people when your favorite couple gets engaged. So, to say they will put any of these champagne flutes to good use is an understatement!!! Just another way for the bride to make her statement, she's going to be a Mrs!! Getting the couple in your life a subscription to a wedding magazine for their engagement is a very thoughtful and inexpensive way to help them get organized and inspired! Your favorite couple will need caffeine in their lives more now then ever!! What better way to give them a boast then with a coffee mug to celebrate this milestone!? 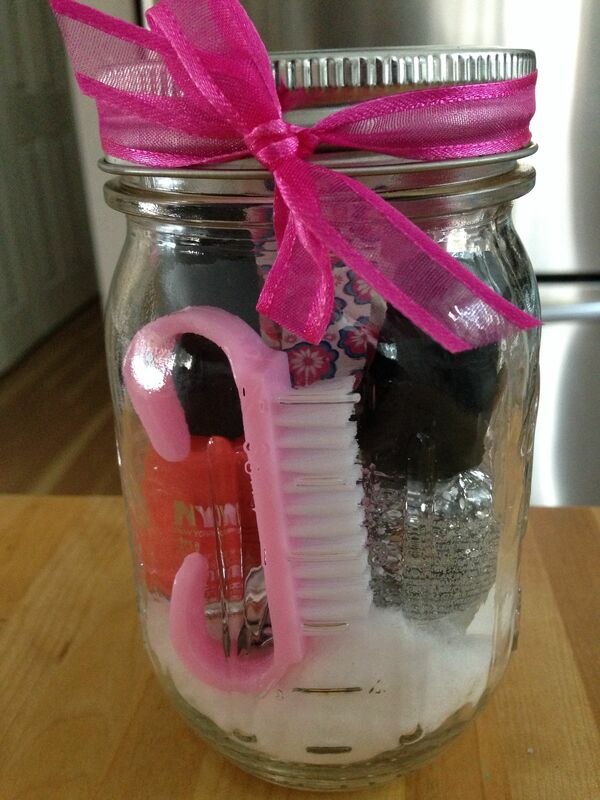 These DIY manicure kits are so adorable! They are thoughtful and inexpensive which is perfect for you and very useful for the bride so she can show off her new ring at any time! Now that they have a new ring they need somewhere special to put it so they never lose it!! Who doesn't love Christmas? Specially christmas ornaments! Getting your favorite couple a christmas ornament to remember this special time is something that they will have for the rest of their lives! Very good gift!! Obsessing over more then one of the options above?? Add them along with any other ideas you have of your own to make the perfect DIY engagement basket for your loved one! I especially love the basket at the bottom right! It is different, classic, cute, and VERY useful!